Tom Hanks’ WWII Movie Greyhound will not be hitting theaters this March like originally intended. Sony has taken the movie and moved it back to a 2020 release date and did not provide a reasoning for doing so. In addition to the Greyhound schedule shift, the studio moved Hanks’ Fred Rogers biopic A Beautiful Day in the Neighborhood back a few weeks, pitting it up against Frozen 2 for the Thanksgiving weekend box office battle. Greyhound was supposed to open in theaters on March 22nd of this year, but Sony has given it a new release date of May 8th, 2020. The new spot is over a year out from the original release date, but it takes it out of having to compete with Jordan Peele’s Us, which could have dipped into the same audience who would go see Tom Hanks’ latest WWII movie. March and April of this year do look to contain quite a bit of competition with Captain Marvel debuting at the start of March and Avengers: Endgame coming in at the end of April. In addition to starring, Tom Hanks wrote the screenplay for Greyhound, which is a big screen adaptation of The Good Shepherd by C. S. Forester. The story follows the story of U.S. Navy Commander Ernest Krause, who served in the Spanish-American War and later led a convoy across the North Atlantic during WWII. 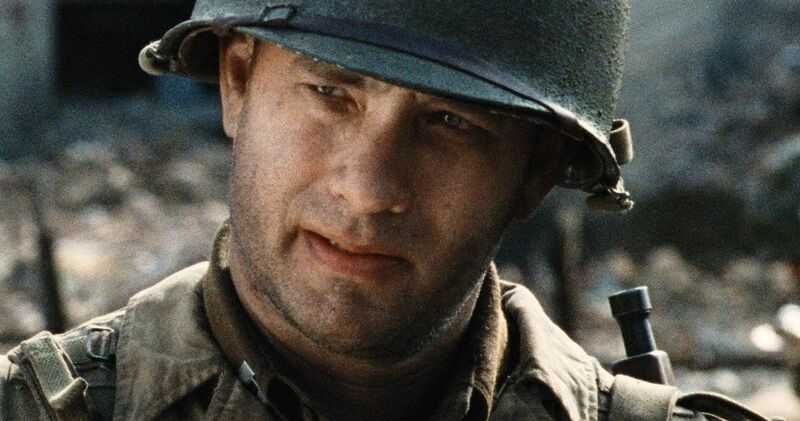 The movie fits in with Hanks’ previous WWII projects, including Saving Private Ryan and Band of Brothers. While the Greyhound release date change is frustrating, there is plenty of Tom Hanks coming our way to take its place. Toy Story 4 is out in June and it features Tom Hanks as the voice of the iconic Woody character. The long-awaited sequel is no stranger to changed release dates and behind-the-scenes drama, but it looks as if everything is running smoothly now. Hanks has said that the sequel is “historic” and very emotional. As for seeing Hanks on the big screen, that will be with A Beautiful Day in the Neighborhood, which is moving from its original October 18th release date to November 22nd, 2019. While doing battle with Frozen 2 will be tough, a movie about Mister Rogers should be able to hold its own. Sony also revealed release dates for Ghostbusters 3 and Morbius the Living Vampire for the summer of 2020, which is just a few months after the new release date for Greyhound. The May release date puts the Tom Hanks WWII movie right in line with the summer blockbusters, so it will be interesting to see how the movie does before Wonder Woman 1984 hits theaters on June 5th. Fans looking forward to checking out Greyhound will just have to be patient and they now have a lot of time to go back and read The Good Shepherd by C. S. Forester. The Hollywood Reporter was the first to announce the release date change.